Aga Khan receives highest French honour 2018-09-23 | Ismaili.NET - Heritage F.I.E.L.D. 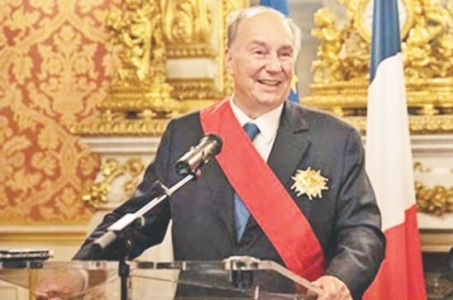 France has awarded Aga Khan, Imam of the world's Shia Ismaili Muslim community, with its highest honour, the Grand Cross of the Legion of Honour. President Emmanuel Macron awarded him the honour in recognition of his contribution to humanity and achievements in improving the quality of life of the most vulnerable populations around the world.